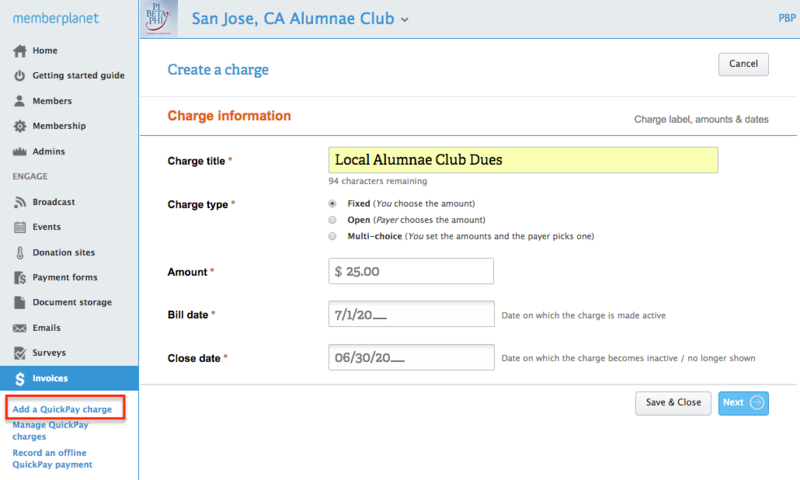 Each fiscal year you will need to set-up your Local Alumnae Club dues. 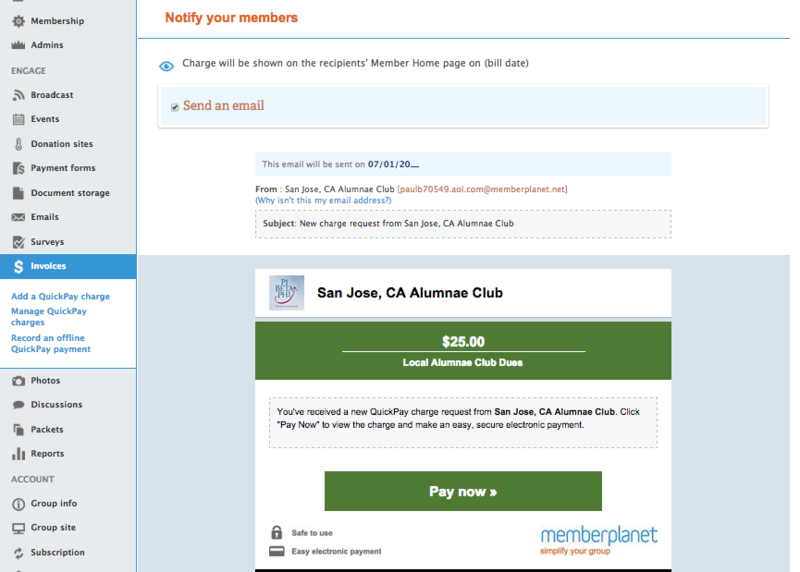 Your International dues will automatically be set-up for you. The fiscal year is July 1st - June 30th. The following steps will assist you in how to create your dues charges for the new year through an Invoice/QuickPay Request. Set the close date to 6/30 to coincide with the fiscal year. Receive alerts and track who has paid and who has not. How you can send an auto-thank you note after payment w/ info.